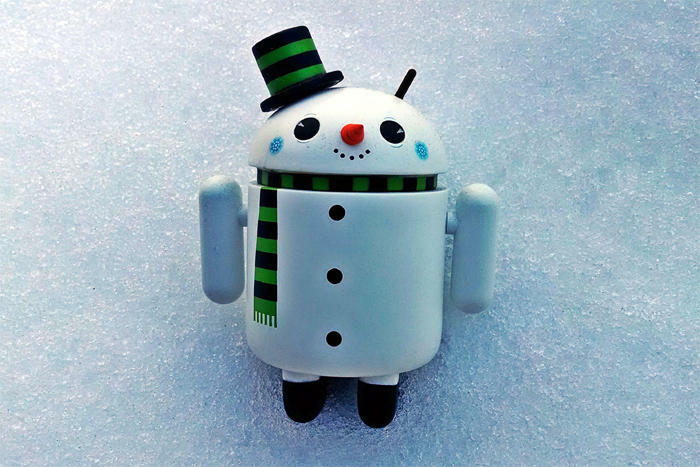 Make the most of the upcoming holiday break with these standout tips for your favorite Android phone. Ah, the holidays. No matter what style of winter celebration you prefer (I'm a Festivus man myself), late December is a fine time for kicking back and regrouping for the coming year. That means it's also a fine time for contemplating that crazy little computer in your pocket and what steps you can take to make it even more powerful — because guess what? A few minutes of tuning up now will make your life infinitely easier throughout all of 2019. Think of it as a gift to yourself — one that keeps on giving and, best of all, doesn't cost you a single dime. In case you missed any of 'em the first go-round or maybe just didn't have time to try everything out, here are some of my favorite productivity-boosting Android tips from 2018. Pour yourself some cocoa, polish up the ol' Festivus pole, and give yourself the gift of finely tuned technology. Some higher-level steps for adjusting your approach to Android and turning your current phone into a lean, mean productivity machine. A collection of easy-to-master gestures and button combinations that'll let you perform common tasks faster than ever. Stop burning through unnecessary mobile data — and start saving money (for yourself or for your employer!). No matter how old your Android phone is, the steps outlined here will make it feel faster, fresher, and more pleasant to use. Got Pie? Solve all your Android 9 irritations with these fast 'n' effective fixes for common Pie problems. A 20-minute, once-a-year checkup that'll make sure your Android phone and all its associated accounts are in tip-top shape for the coming year. You don't actually need Android 9 in order to enjoy some of its most effective upgrades. Make your phone smarter with these Pie-inspired add-ons — many of which even outshine their official operating system equivalents. A collection of clever tools that enhance the core Android interface to save you time and make you more efficient. Widgets are one of Android's most underappreciated elements. Turn your Android home screen into a powerful productivity hub with these exceptional, business-friendly options. Does Windows rule your desktop computing life? Take note: With the right set of software, you can turn any Android device into a Microsoft-centric, PC-syncing machine. Make missed calls much easier to manage with this simple Android enhancement. From office apps to travel apps and email and texting, this page has all of my latest (and regulary updated) roundups for the best of the best. Whether you're looking for something new or just wonder if you could do better, you'll find plenty of upgrades awaiting within. Google's own Gmail app has some nice touches you've probably never noticed — easily overlooked features that can make your mobile email experience measurably more pleasant. The same goes for Maps — oodles o' out-of-the-way options that'll give your navigation some extra oomph for the new year. Chrome is practically overflowing with power-user possibilities. Take this crash course in advanced Android browsing — and watch your mobile productivity soar. Google's Fi wireless service has some powerful benefits beyond the obvious. Are you taking advantage of everything it has to offer? Some of Google Assistant's most genuinely useful productivity tools for professionals. They're there and waiting; it's up to you to learn how to use 'em. If you're anything like me, you've probably got at least a few old Android devices sitting around and collecting dust. So why not put 'em to good use? You'd be surprised just how valuable an abandoned old handset can be. Swype hasn't been spectacular in a long time, but its impact on Android and mobile typing in general is undeniable. As the end of 2018 approaches, join me for this fitting eulogy honoring an Android pioneer. Thanks as always for reading — and happy holidays to you and yours!